Participating retailers simply scan presented barcodes to check which vouchers are available. 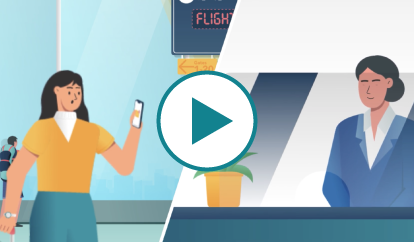 iCoupon’s back-end billing system allows transactions to be instantly captured so you can quickly and easily bill the airline on departure of a delayed flight. For the first time this integrates the issuing, redemption, billing and reporting of all types of single use vouchers in the airport space. In addition iCoupon can be used for your own smart promotions. Accept iCoupon digital compensation vouchers issued by airlines and create your own smart promotional vouchers. With iCoupon, passengers no longer need to queue for paper vouchers and can simply enter your unit and redeem the value against purchases, keeping them happy and shopping for longer. Create Smart promotions with digital vouchers and drive increased spend through your own innovative marketing campaigns.